OLD PARKED CARS. 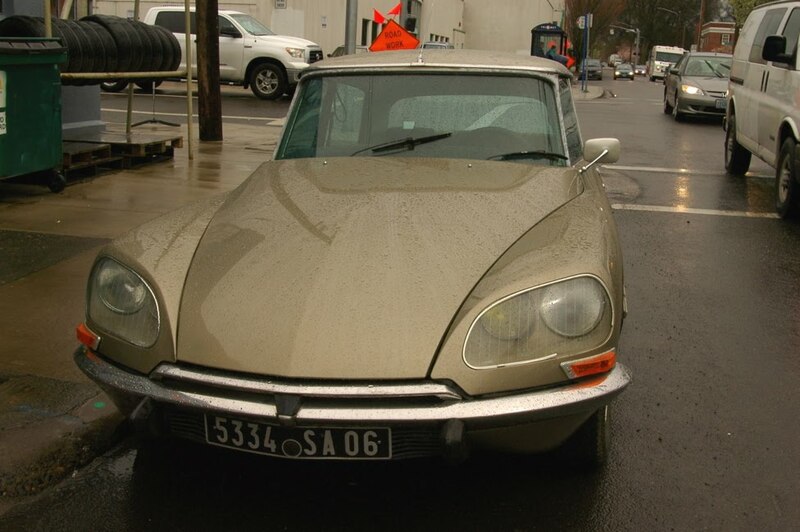 : 1973 Citroën DS 23. 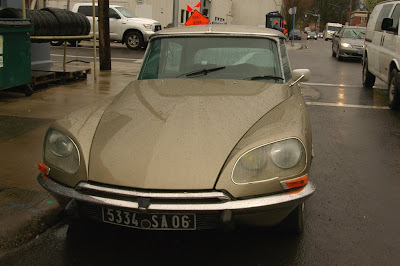 That's funny: it has French license plates. Probably a late import and a stunning one indeed. Leave it to the French. Citroen's machines played bit parts in many a French arthouse flick in the 1960's and 70's. 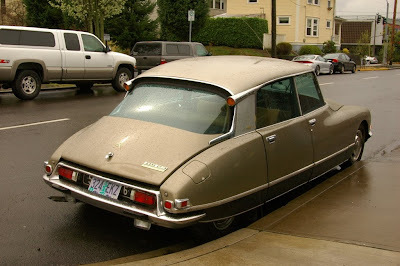 Of course because they were in France, but also because Citroen made some ridiculously low cost models that all the working class drove. Their better models (like this one) were quite cutting edge, both in their highly recognizible shape, and their amenities, like a hydraulic suspension system. Very stable to drive and had a pretty good dose of power under the hood. 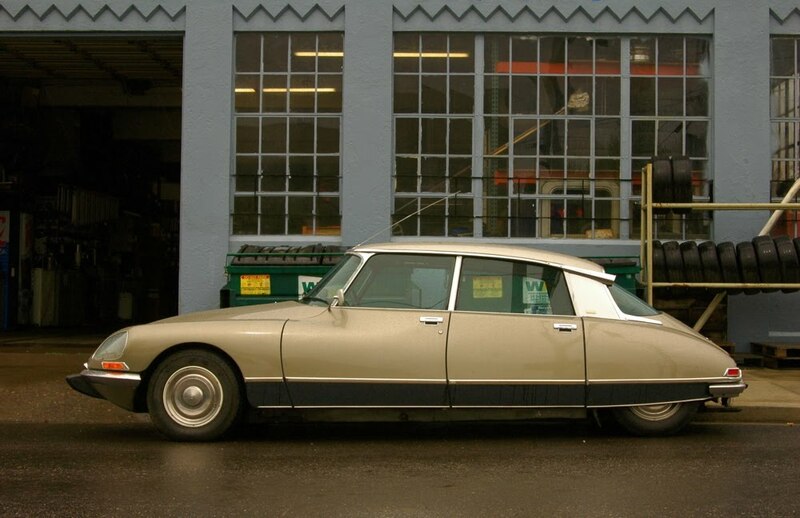 This particular model had a prominent role as a Death Car in one of those French artsy films around 1976. Plates are from Nice, the front plate actually has the hole for the engine crank; so they might actually belong to the car. Got all the special euro parts; plus its a fuel injected model. Shame about the two-tone paint; that thing is damn near perfect. I'd love to drive one of these around for awhile. Not sure about owning one though. I really adore these cars. I'm looking to buy one...surprisingly difficult to find an example even in southern california! What do we think about the dots over the e? If you like it Tony, you better be prepared to do it for every one we get.